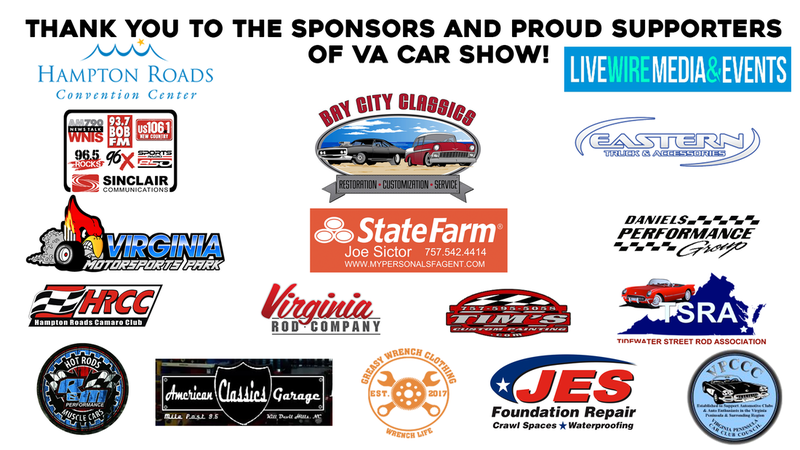 The Virginia Hot Rod & Custom Car Show is currently accepting registration open to all makes and models but focused on Hot Rods and Classics for our indoor April event. We welcome hot rods, custom cars, 4x4's, motorcycles, and more. How do you get your car or motorcycle into the show? Easy, just click below to log onto our registration website. If you prefer to print and mail in your registration form click below to download and print. Questions about Load In and Judging Classes? Click below for more information about Load In times and Vehicle Classes. Frequently Asked Questions - Click below.